Puberty is a crucial time for the formation of a kid’s identity. Now, imagine if you were that age in the center of pressure from two opposing sets of grandparents, one side Muslim and the other Jewish. Abe (Noah Schnapp, Stranger Things) is in such a familial situation, whether his willfully atheist parents like to admit it or not. Family dinners become blatantly awkward when they all (just proverbially) break bread together. Abe stratifies generations of grandparents, parents and tween into respective camps of religious tradition, secular eschewal and cultural fusion, and Abe’s onus is to reconcile them via his passion, cooking food. Abe runs his own cooking Tumblr page. At his family birthday party, Abe expresses his desire to choose both Islam and Judaism. After a micro–cultural clash, his subsequent disappointed social media posts and a Google search, he encounters a page about a local chef who creates Brazilian-fusion cuisine. Abe gallivants through his home of Brooklyn and encounters Chico (Seu Jorge) at a food stand. After some loitering and some surprise drop-ins at Chico’s co-op kitchen, the chef takes on a Mr. Miyagi role as the fledgling Abe seeks to learn the ropes of working in a real-life kitchen, all while researching his dual identity in order to experiment with his own brand of fusion food. Abe is a simple delight. The film’s story is as clear-cut as the five different flavor archetypes of salty, sweet, bitter, sour and umami, and its narrative arc is measured. 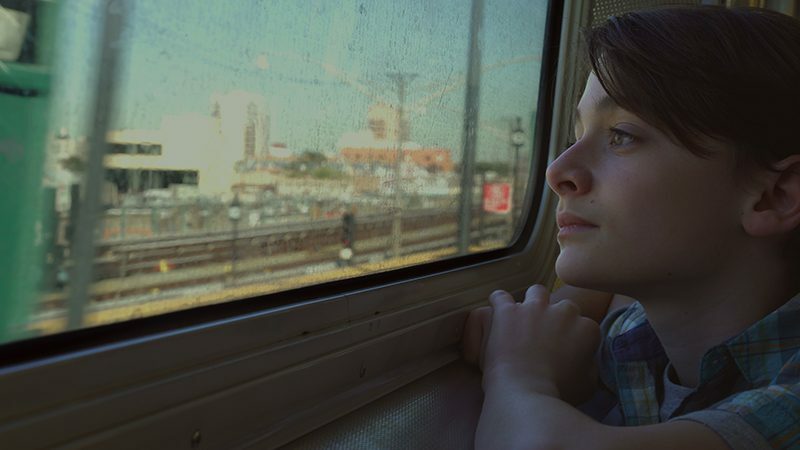 Since it’s in the Sundance Film Festival Kids section, Abe’s formulaic storytelling structure feels fine, and that simplicity paves the way for a natural, authentic performance from Schnapp (14), who plays a 12-year-old in the milieu of bar mitzvah–eligible boys. Schnapp carries the film with Abe’s adolescent fascination with cooking while also toeing the line of a kid who resists his parents’ infantilization of him—he shirks a cooking class that they send him to in order to discreetly/unofficially intern for Chico. Despite being a somewhat flat character, Chico’s warmth and teacherly interactions with Abe bring out Abe’s forward movement to overcome his internalized schism. His grandparents’ dinnertime squabbles, on the other hand, feel a bit forced and are transparent plot devices. Moreover, a scene where his parents declare their separation and a bar mitzvah–cannabis-peer-pressure scene add nothing to the film’s central themes nor to Abe’s character development. The ancillary noise from his parents’ resistance to their own parents’ religious pressure, though, helps to catalyze Abe’s girding of the loins in accepting himself as a fluid identity, even if his forebears (including his secular parents) won’t budge. Abe’s Brooklyn setting adds dimension to Abe’s formative state. Chico runs a multicultural kitchen, and the analogy between Abe’s experience and the myriad cultural identities of Brazil inspires hope for the possibilities of Abe’s approach to solving his intrinsic conflict. As his parents discover his transgressions of their trust (he’s volunteering at a real-life, adult kitchen instead of learning how to mix colors in a cooking class for kindergarteners that his parents enrolled him in), it becomes clear that this film also breaches our current considerations of how much parents may be tracking their kids. They undergo the typical grounding and electronic-device confiscation. A salient and effective counterpoint to this is his middle-aged uncle’s all-to-real (in a generational sense) revelation of how to find a runaway Abe, by (aha!) deducing where he’s gone using his Instagram posts.